“Geo” is a root word referring to the Earth and land, so Geopark is a title given to natural park areas that have important scientific significance or natural beauty. Geology and topography are deeply implicated in the history and culture of the world. Geoparks offer a place to learn about the importance of the Earth and its development. The Geopark system was established in 2004 under the support of UNESCO through the Global Geoparks Network (GGN). 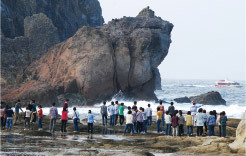 The facility makes use of the geological formations and natural environs around Kami-cho to allow visitors to learn about the San’in Kaigan Geopark and offer opportunities for raising greater awareness about the region, as well as foster community-building around the Geopark. It acts as a hub for nature schools, conveys tourists to other tourism facilities within the area, as well as trains guides and other personnel and promotes exchanges between guides and others. Kasumi is a town of fishing commerce, which developed alongside the evolution of the sea routes here. This floor lets you learn all about its maritime culture. 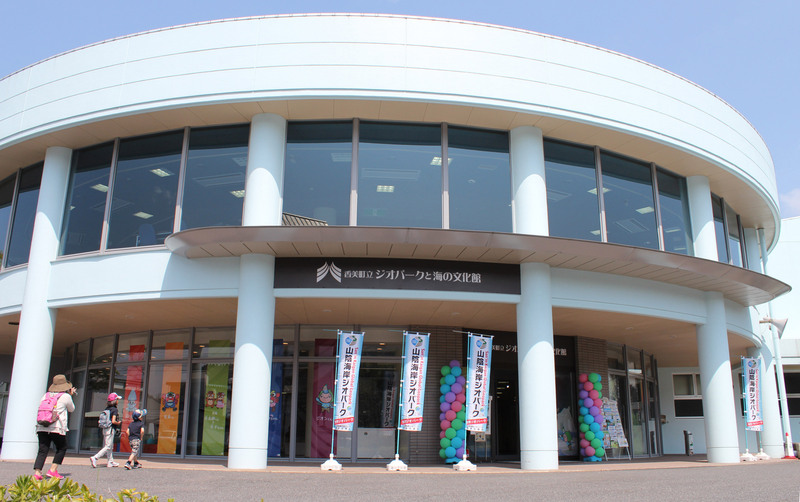 Learn about the history of the Kitamaebune shipping route, see traditional fishing implements, and see crabs, squid, and other creatures that inhabit the Sea of Japan. – Sea of Japan creatures area: see a wide array of taxidermy all in one spot. – Experience the fishery industry in Kasumi and various fishing methods, as well as how fishermen actually work. – History of fishing/Kitamabune area: learn about the history of fishing and how ships used to work in olden days. This web site is owned and operated by the Geopark & Uminobunkakan, and all copyrights vest with the same. Excluding where allowable by law, the duplication, modification, distribution, republishing, and other use of images, illustrations, text, and other copyright articles found on this web site, whether for commercial, non-commercial, personal, organizational, or corporate use, is expressly forbidden without prior authorization. 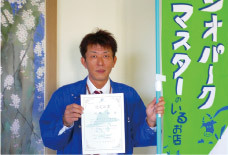 Geopark masters are people from various shops and places of business who are qualified to guide visitors about areas in Kami-cho, located within the San’in Kaigan Geopark. They have taken Geopark Master Courses, which quality them in this role.